Take a look at the newest trends in design that home buyers will see over the next several years based on submissions from this year’s winners. Then get inspired to incorporate your favorite trend in your own home. White-on-White Kitchens: This continuing trend can be seen in both traditional and modern-style homes. 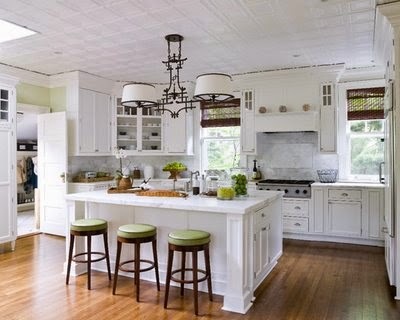 Think white cabinets topped with white countertops and finished off with white back splashes and white trim. Centered Bathtubs: As part of the continuing “bathroom as spa” trend, large, well-designed tubs are becoming the center of attention: pulled away from the wall and treated like sculptures. Get-Away Rooms: Whether it is a room with a view or a game room, creating “escapes” is increasingly popular. These spaces are designed to encourage relaxation, family time or provide room for hobbies. Indoor-Outdoor Living: No matter their location, home buyers are attracted to designs that offer space on the roof to give them a great view while soaking in the surroundings. Indoor-outdoor transitional spaces are also showing up where weather permits by using screens and removable or foldable walls. visit the National Association of Home Builders at nahb.org.